San Francisco, CA - April 6th, 2015 - Fiilex, a leader in LED lighting for the broadcast, film and photo industries, has released the remarkable Q500-DC Fresnel Light. Second in the "Quasar" line, the Q500-DC is a portable, weather-resistant solution for professionals that need high power, color tunability, and color accuracy inside and outside the studio. The Q500-DC is a 750W tungsten equivalent that is designed for on-location work. This battery-powered fresnel LED draws 185W and utilizes IP-24 weather-resistance to withstand heavy rain. The Q500-DC weighs 11.2 lbs, making it a portable option for providing cinematic light in any location. The light is color tunable between 2800K-6500K and offers a ±.25 Magenta/ Green hue control in order to deliver balanced skin tones. It is fully dimmable and flicker-free at all frame rates, and it also boasts high CRI (>93) and TLCI ratings (>95), guaranteeing natural, vibrant colors. With a built-in DMX and an LCD screen for precise setting adjustments, the Q500-DC is an efficient tool for getting powerful, dynamic lighting wherever it is needed. "To create the Q500-DC, we took the award-winning Q500 technology and added the enhancements necessary for intensive on-location work, " says Brent Siebenaler, Brand Manager of Fiilex. " Now, users can get an unprecedented amount of control, light quality, and weather-resistance all in one compact fixture." 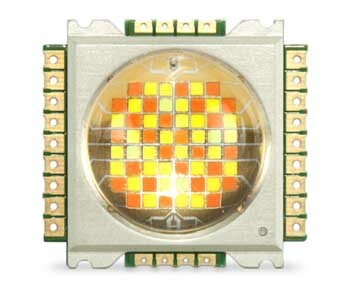 The Q500-DC utilizes Dense Matrix LED™, a patented technology that allows for the placement of many LED chips in a tightly arranged pattern. The result is a bright, point-like illumination source with a high CRI (Color Rendering Index) and adjustable color temperature. This proprietary technology is unique to Fiilex. The Q500-DC comes with adjustable Barndoors, a 5-Inch Fresnel Lens, Power Adapter, and Power Cable. It pairs with the new line of accessories for the Q-Series, including an 8-Inch Fresnel, PAR Reflector, Para Softbox, and Speed Ring for any standard softbox/octabox. 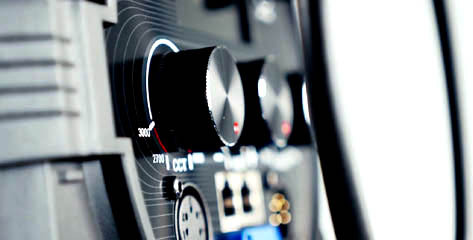 The Q500-DC also includes a magnetic mount for compatibility with most P-Series accessories. The Q500-DC is available for order now from dealers throughout the U.S., Canada, and Europe, with delivery in July. The U.S. retail price is $2495.00. For a complete list of dealers and accessories please go to www.fiilex.com.